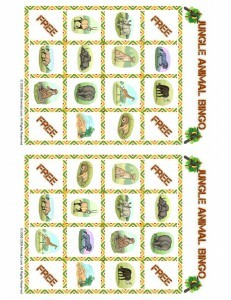 Free Printable Bingo Cards: Jungle Animal Picture Bingo | Animal Jr. 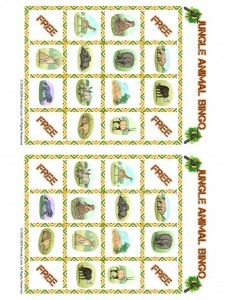 Perfect for a Jungle Animal Birthday Party, Christmas Break Activity, or Family Game Night! 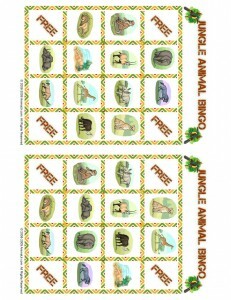 Animal Jr. has created this exclusive printable Jungle Animal Bingo Game just for our readers. 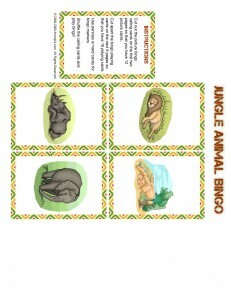 We have included calling cards, picture bingo playing cards, and full instructions. Use pennies or hard candy for bingo markers! We suggest printing out these cards on heavier card stock or photo paper. For extra durability you can laminate them. 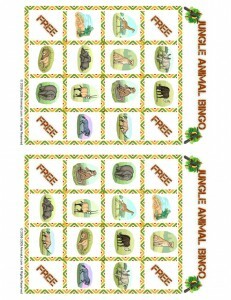 You may also be interested in two Jungle Birthday Party supply collections from Birthday in a Box – the Cartoon Jungle Animal Party Collection or the Safari Animal Party Collection. Simply click on the images and they will open up on a new page. Then click on our special “Click to Print” button and it will block the rest of the page and send only the image to your printer. don’t know there numbers or letters. So this has come in very handy. 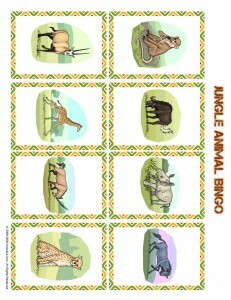 I love the Jungle Bingo cards and was wondering if I could use the picture in a school project. Thank you!! 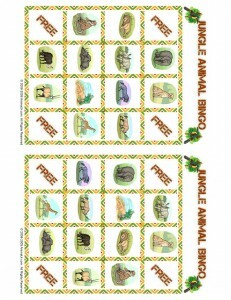 The jungle bingo printable is a wonderful activity that will be used in our centers. Thank you!